*For discount code, you can enter your discount code at step 3 "Enter information"
(if this is city center pickup, please enter street name, district and city, in turn. If this is airport pickup, please enter the airport name. 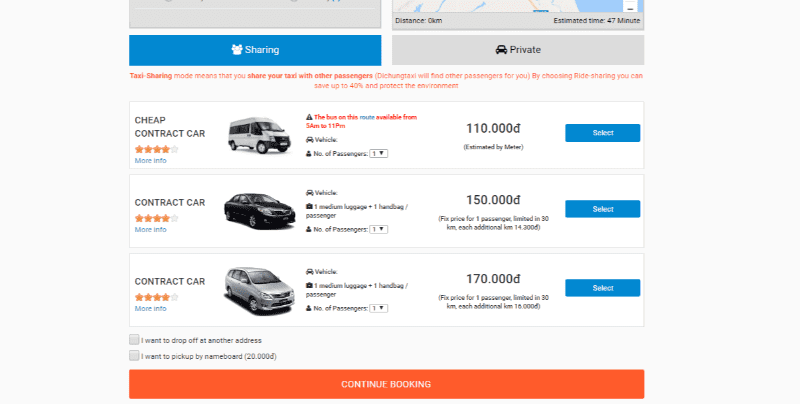 Choose between car-sharing or private car. Choose the number of passengers (if using car-sharing service) or the numbers of cars (if using private car service). Click Select with the type of car you want to book. 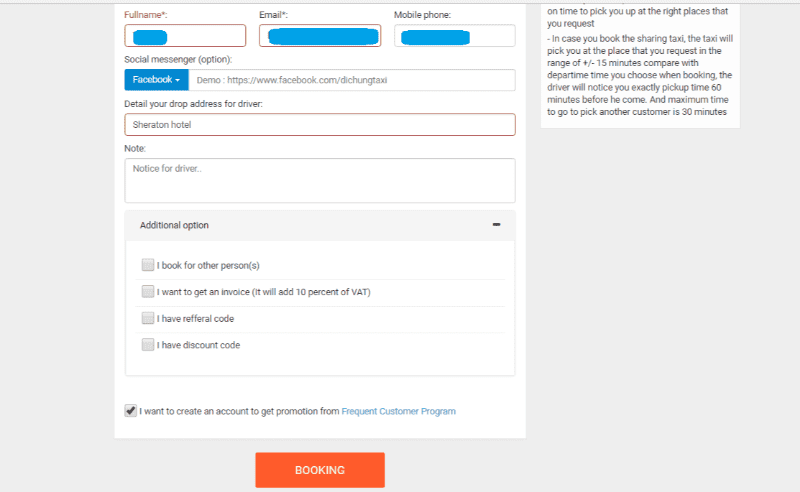 Enetr your name, phone number and email address. Enter detailed pickup and dropoff address. home number, street name, district, city/ province. Enter some notes for Dichungtaxi. 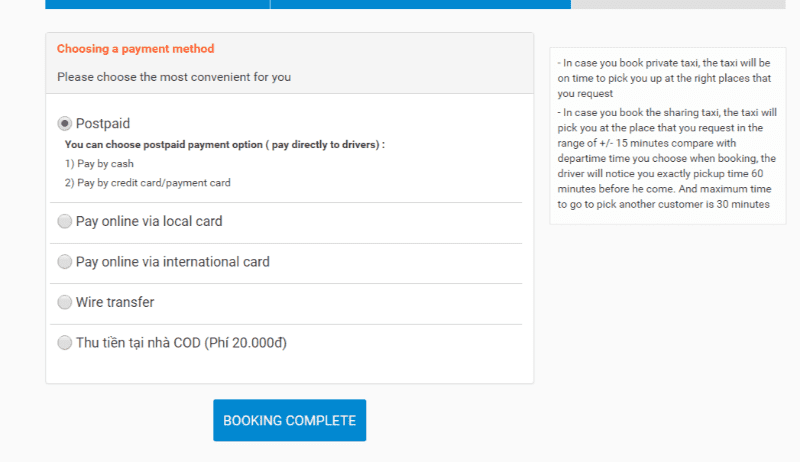 You should give your flight code in order for Dichungtaxi pickup you on time even when the flight is delayed. Choose additional option if you need.